The Late Dr. Mohamed Fakhry, a General Surgeon and the founder of the hospital came to Saudi Arabia in the year 1955 G. – 1375 H. appointed by the Ministry of Health as a General surgeon. At that time there were only 6 surgeons in the Kingdom. Till then there were no government or private hospitals in the Eastern Province except for a small Aramco hospital. With the opening of the first government hospital in Al-Khobar, the Ministry of Health chose Dr. Fakhry to be the first and only surgeon in the Eastern Province. Dr. Fakhry, at that time was on his own; he had to depend on God and on himself in managing all different cases in the hospital. There were no other specialists available in the area in any branch of medicine. Dr. Fakhry was able to treat competently different surgical, orthopedic, gynecologic cases and difficult obstetric cases. Even he was giving anesthesia to the patients he was operating on. He was assisted by 2 general practitioners. 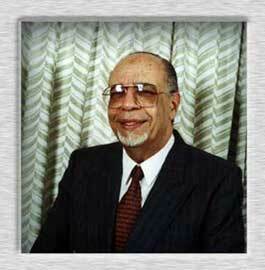 In 1956 Dr. Fakhry started his private practice in a clinic, besides working in the Government Hospital. 8 private beds were annexed for performing surgery. These 8 beds were the modest beginning of the hospital. Dr. Fakhry acquired vast experience in different problems of medicine related to surgery. In 1960, he obtained government permission to start a 20 – beds private hospital which in the course of time progressed to the present stature of a full fledged health care facility with 200 beds and more than 600 personnel including 85 doctors most of them university staff. "For more than 45 years, I was honored by doing the medical service in this beloved country giving the best of efforts, experience and medical knowledge so that I may share humbly in the magnificent Saudi uprising and progress, led by the sons of King Abdel Aziz and especially by King Fahd. God Bless them in their efforts to raise this nation to the levels they dream to achieve. I tried to share in this effort and at the end this is my Hospital with its good reputation. I am proud with the confidence of our people and patients, to whom I pledge to do my best, inspired and guided by the good efforts of the Custodian of the Holy Mosques King Fahd and his Government”.